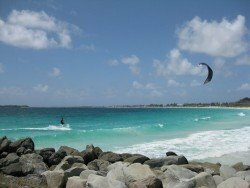 Orient Bay is located in the eastern coast of St. Martin and considered to be as ”the best beach of the Caribbean Sea”. Many reasons justify this title such as the white sandy beach, the crystal clean waters and generally the surrounding exotic setting of the beach. 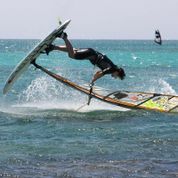 Orient Bay is where many water-sports are being performed. 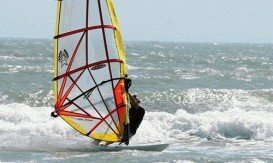 Many wind surfers visit this beautiful beach that is also known as ”the Pearl of the Caribbean”. 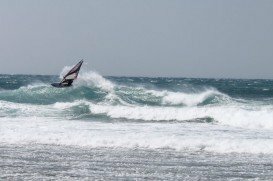 The average wind speed is at 13 knots/24 kph all year round, while its direction is East and North-East. Lying in the Caribbean Sea, the island hosts a tropical climate, thus meaning that temperature levels do not differentiate significantly both in winter and summer months. The temperature averages at 26.7°C/80°F while the waters is about 2 points less. 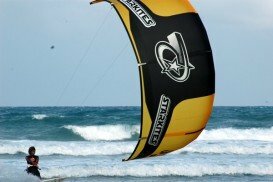 Unfortunately the only period that may change your wind surfing plans is the hurricane period. It lasts from June to November, making weather conditions quite unstable. However, weather conditions are not so extreme but temporal rainfalls are usual. 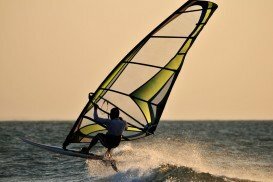 Whether you are an expert or a beginner, you should definately include this spot in your ”must-visit” list. 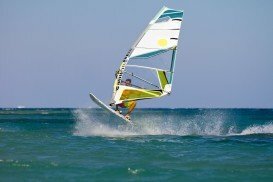 There are many wind surfing schools on the spot and experienced instructors who will give you the appropriate advices. South Padre Island is a resort town in Cameron County, Texas, U.S. It is known for its white, sunny beaches. The island has the appropriate conditions to make you feel at home and enjoy yourself in all fields. 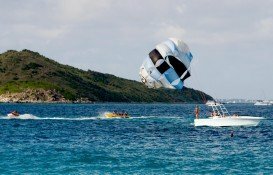 The island of Saint Martin is a popular destination for those people who love water-sports. 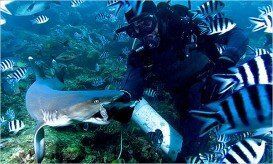 It is situated in the northeastern Caribbean Sea. Saint Martin belongs to the group of Leeward Islands in the West Indies. In 1648, this small island was divided into two nations, France and the Kingdom of the Netherlands. St. Martin is the north French part of the island with Marigot as its main capital. Collectively, the two territories are known as "St-Martin / St Maarten". Le Gallon Bay is standing in the eastern French part. 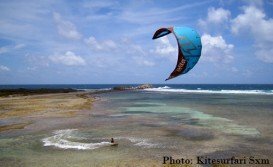 The island of Saint Martin is a popular destination for those people who love water-sports. It is situated in the northeastern Caribbean Sea. Saint Martin belongs to the group of Leeward Islands in the West Indies. In 1648, this small island was divided into two nations, France and the Kingdom of the Netherlands. St. Martin is the north French part of the island with Marigot as its main capital. Collectively, the two territories are known as "St-Martin / St Maarten". Mont Vernon is in the eastern French part of the island. Saint Martin belongs to the group of Leeward Islands in the West Indies. It is standing on east of Puerto Rico and the Virgin Islands. In 1648, Saint Martin was divided into two nations, France and the Kingdom of the Netherlands. St. Martin is the north French part of the island. Its capital is Marigot. Collectively, the two territories are known as "St-Martin / St Maarten".